Following the info from the Geneva Mechanism previous post, found its true origin. 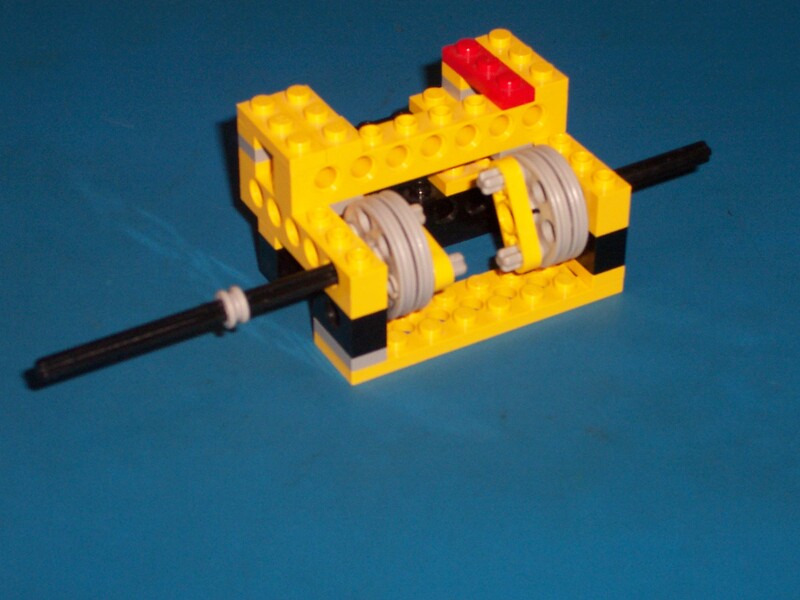 Another blog also with some more interesting topics about LEGO TECHNIC. 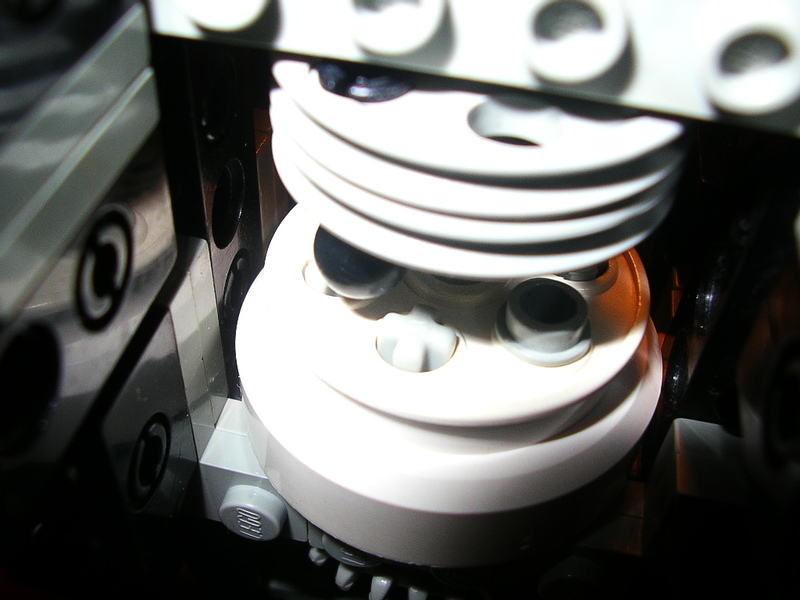 It calls BrickEngineer (from Kevin Knuth) and I want to highlight today a design for an interesting smooth clutch. A clutch is a mechanism which allows to engage or disengage an axle from a motor, when we want to control the transmission of a rotational motion. 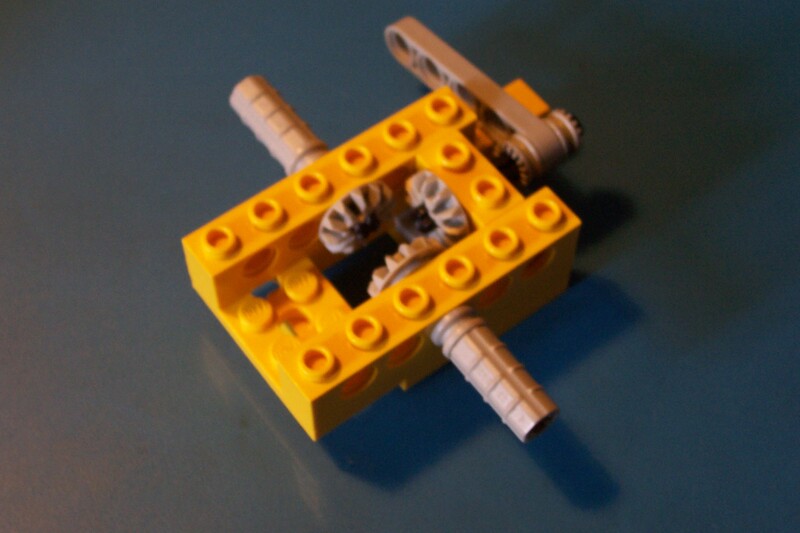 LEGO has special parts that can be used to make a transmission clutch, like: 6542 and 6539. However, these are relatively hard to find, and take some force to engage or disengage. 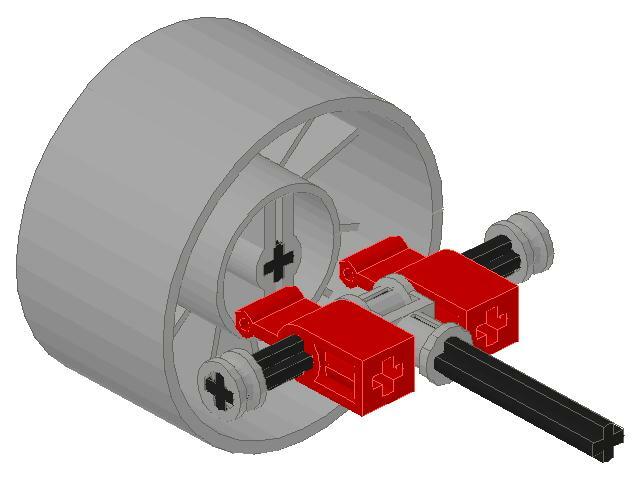 Below a few animations that show a possible solution made of common parts and requiring little force for engage/disengage (see the author page linked above, for instructions and LDraw files). 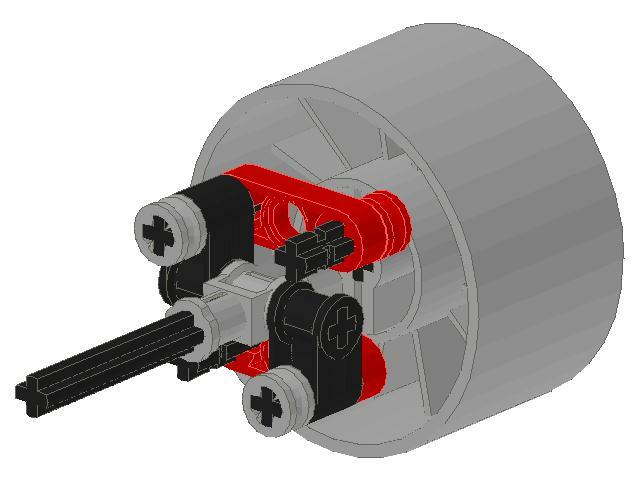 On the right, the details from coupling mechanism (bottom view). Below also a few images from other clutch mechanism implementation ideas, found at Brickshelf (click to enlarge and see more details). Learn more about, how clutches work, here.